Democratic Socialists have presented Denmark as the elusive nation where socialism has been successful, and thus a model for the policies they would implement in the United States. Bernie Sanders regularly invoked Denmark during the 2016 presidential campaign, and Alexandra Ocasio-Cortez reassured 60 Minutes viewers that her version of democratic socialism would veer more toward Denmark than Venezuela. Just weeks ago a free-market think tank in Denmark, the Center for Political Studies (CEPOS), issued a 20-page report telling Americans that 1) Denmark is not a socialist nation; and 2) statist policies have still caused significant economic harm. 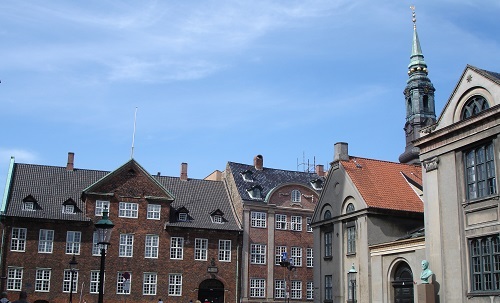 The report’s authors – Mads Lundby Hansen, Carl-Christian Heiberg, and Thomas Due Bostrup – show Denmark following the familiar pattern of its fellow Nordic countries: It became a wealthy country before introducing an ever-expanding welfare state in the postwar era. But after reaching an economic breaking point in the 1970s, successive governments introduced a mixture of reforms – including reduced benefits, partial privatization of pensions, and lower regulation – that have restored its economic fortunes. In fact, taxes are much higher in Denmark – especially on the poor and middle class. The government confiscates more than half of virtually all incomes. Low-income Danes pay an effective marginal tax rate of 56 percent; the middle class pay 57 percent. The biggest difference is Denmark’s high consumption taxes. Its VAT imposes a 25 percent tax on the sale of every item – and additional taxes apply on coffee, beer, and chocolate. These taxes disproportionately hurt the poor, who struggle to pay for their needs as it is. “High consumption taxes mean that you can buy fewer goods for one extra working hour. Therefore, consumption taxes distort the labor decision” – that is, they discourage work, investment, and progress. Denmark’s history is inextricably caught up with trade, commerce, and faith. The name Copenhagen means “merchant’s harbor,” and its history owes much to Bishop Absalon, who died in 1201. The report – which is well worth reading in its entirety – notes how the country moved toward fiscal ruin as it moved away from economic freedom and reliance on intermediary institutions. Is America Too Religious to Be Socialist?